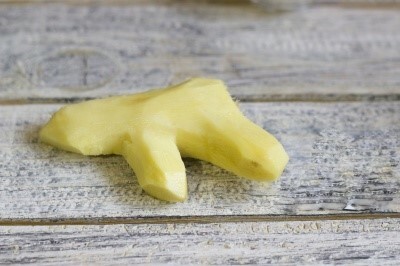 It’s no secret the fact that Ginger is the healthiest and most useful root for the body. Besides the fact that its metabolism and bring beneficial vitamin intake, Ginger is a versatile condiment for fish dishes, seafood and meat. The aroma and flavor of this spice emphasizes the delicate taste of the fish and if we prepare seafood, Ginger Sauce they give you a flavor and taste very interesting and unforgettable. For starters we'll prepare the marinade to make this happen we need a small pot, pour the vodka in that water, Sherry, vinegar, salt and sugar. 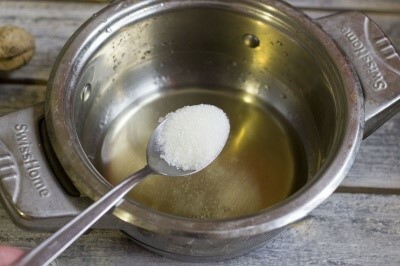 Place the saucepan on the hob at a low temperature to let the mixture boil, then stop the fire and let it cool. While the marinade is racesce clean ginger Peel then put in a bowl and pour over boiling water. Leave for 5 minete and then drain the water. 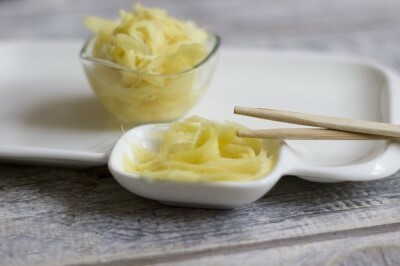 Using an egg slicermydomo cut in thin slices ginger. 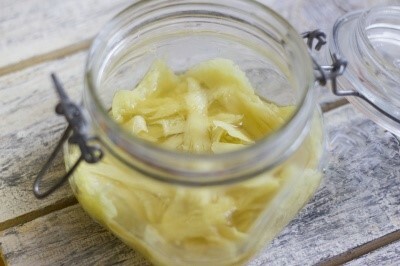 Sit feliutele of ginger in a jar, pour over marinade. If you want to catch a ginger pink add a bit in brogan beetroot juice. Sigilam jar file and put in the refrigerator overnight. 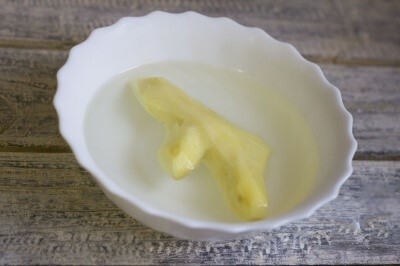 On the morning following pickled ginger is already and can be put on the table. 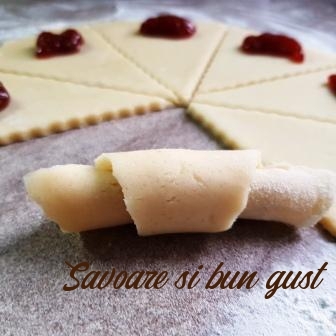 It's a relatively easy recipe with delicious results. At a festive table we deal with ipresiona visitors.